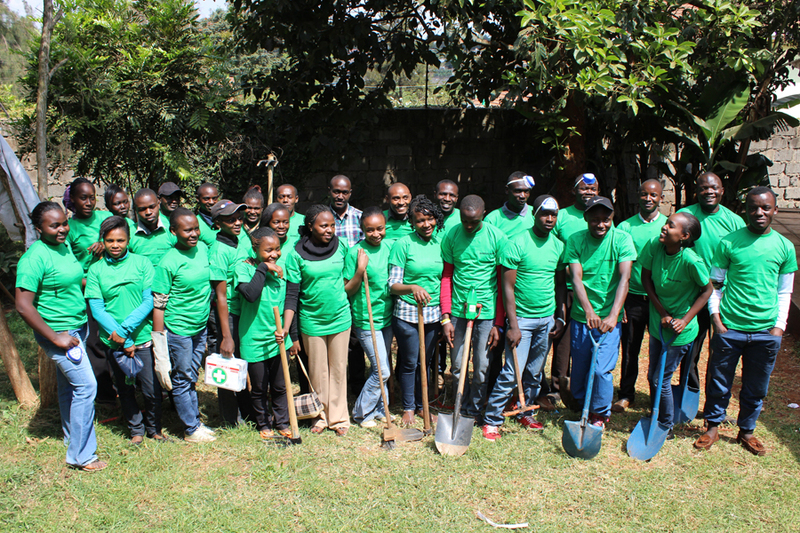 CFCA youth group members in Kenya prepare to clean up the Kangemi market as part of a community service activity. The Kangemi market in Kenya is always a beehive of activity, with sellers chanting continuously to attract customers to buy their wares. On this particular day, youth from CFCA had come to the market, this time not to buy anything but to clean it up, as the market is dirty and unkempt. With brooms, rakes, trash bins and dust masks to cover their faces, young people from CFCA’s Maendeleo youth group got busy sweeping and collecting trash. The dust and hot sun did not stand in their way. “My mother sells in this market, and each time I come to assist her I feel uncomfortable,” said Sonny, a sponsored youth and member of the group. “There are banana peels, polythene bags and all sorts of dirt around. The determination of the youth to make the market a better place to work and shop inspired others. Sellers joined in to help with the cleanup. A spirit of solidarity filled the air, as everybody got busy cleaning the market pathways and trenches. 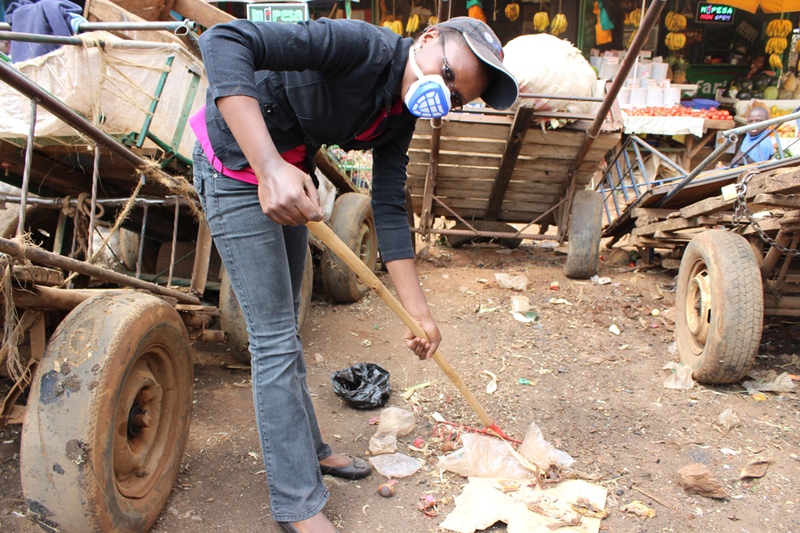 CFCA social worker Mary Mbuthia joins the cleanup activity by raking trash from the market area. The youth program, which began in 2010 in CFCA’s Nairobi project, has seen youth come together to share ideas and experiences. The young people also encourage each other. CFCA, besides providing financial assistance, helps the youth with emotional and social challenges that they face. Youth are prey to many vices in society, and one way to deter destructive behavior is to involve them in wholesome activities. 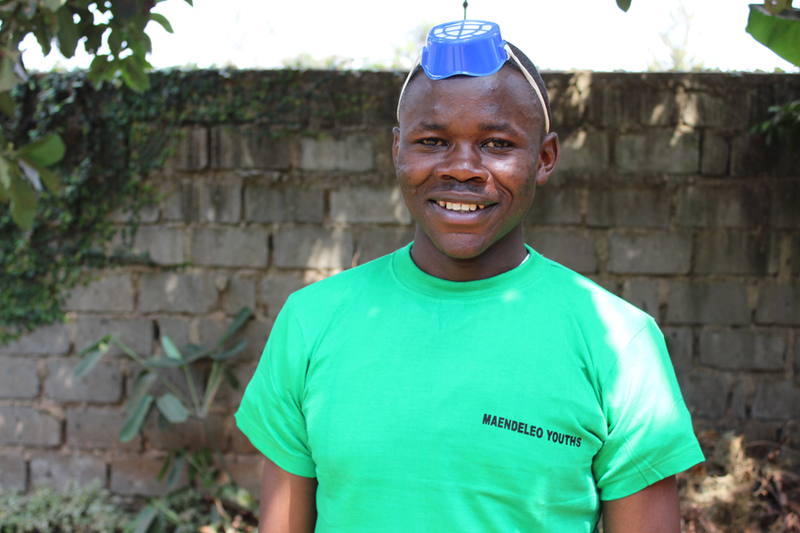 “We are young and energetic, and can make a positive change in the society we live in,” said Victor, a sponsored youth and the group’s organizing secretary. “We came up with the cleanup idea, and thought it was good. Youth group member Victor helped plan the cleanup activity. Seeing the youth committed to making the environment better was quite inspiring. By cleaning up the market, they helped sellers like Sonny’s mother have a dignified place to work. So inspiring. I love these stories when the youth lead the way. We can always learn from each other no matter what are age. Thank you Regina for another beautiful story from our brothers and sisters in Kenya. I love the Kenyan people and a piece of my heart will always be there. Shout out to Amos and the rest of the staff who is so inspiring to the youth.